The Association to Advance College Schools of Business International (AACSB) recently recognized Houston Habitat for Humanity Executive Director Allison Hay (BBA ’78, MBA ’82) as a 2018 AACSB influential Leader. 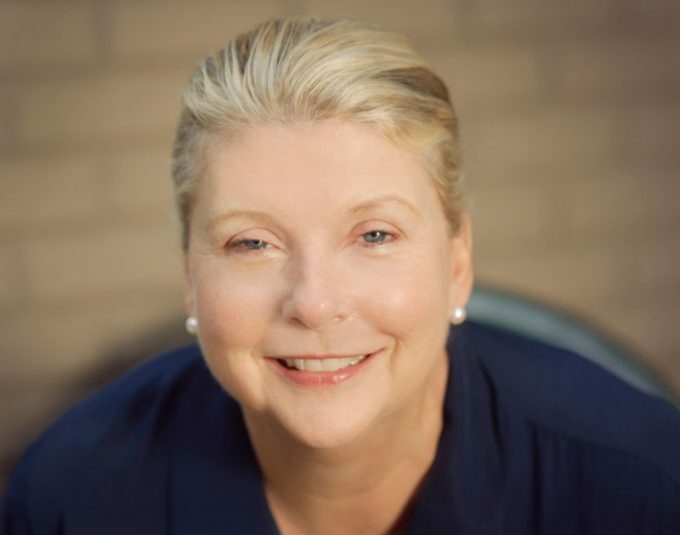 The Association to Advance College Schools of Business International (AACSB) recently recognized an alumna from the C. T. Bauer College of Business during the third annual Influential Leaders Challenge at the 2018 Deans Conference in Las Vegas, Nev.
Houston Habitat for Humanity Executive Director Allison Hay (BBA ’78, MBA ’82) is among a group of 29 business leaders from 13 industry sectors whose careers address today’s most pressing social, economic, environmental and educational challenges. Throughout her tenure as executive director for Houston Habitat for Humanity, Hay has led the organization to many milestones and achievements, including the building of its 1,000th house, recognition from J.D. Power as the nonprofit brand of the year and rebuilding Habitat homes damaged during Hurricane Harvey. The challenge is an annual initiative that honors notable alumni from accredited schools whose inspiring work serves as a model for the next generation of business leaders. Leaders were recognized across three categories, including Leaders Working in Nonprofit or Community-Based Organizations, Leaders Advancing Diversity and Inclusion and Leaders Influencing Business Education. For more information about the Influential Leaders Challenge, and a full list of honorees, click here.